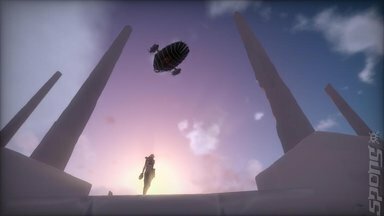 The elevator pitch for Bossa Studios' Worlds Adrift is thus - you come round on a floating island with little to no knowledge of what's going on and must scavenge materials and learn from your surroundings to build an airship. Armed with basic tools you head out into endless skies to explore the remnants of a shattered world by constantly upgrading your ship and discovering new knowledge to help you on your way. There is this soft, beautiful melody that plays at the character select screen that, at least for me, set the tone of the game going in for me. Upon your first revival you find yourself in a chamber softly lit with no immediately obvious exit. Here you get introduced to Worlds Adrift's most important device - the grapple - with this you can attach to surfaces and reel yourself in, lower yourself safely in to caves, swing and wall run and, once you've mastered it you can move very quickly through the floating islands. Once out of the Revival Chamber you can begin learning the ropes, which without guidance can be a bit daunting. I struggled for a while with gathering materials and figuring out what to do with them. Considering that I was originally going to write a 'First Few Hours' piece things were looking a bit rough. However, I ended up playing for almost eight hours straight and in those eight hours I learned a lot so get ready for some rapid fire tips! Even before you leave the Revival Chamber, press 4 to bring up your scan tool and use it on the walls of the chamber and once you are out of the chamber keep using that tool on everything you see to gather Knowledge. Knowledge is used to unlock technology to craft and so is very important. Next up you want to gather a lot of wood, so press 1 to bring up your gather tool and do some deforesting all while not letting a cut-down tree fall on your head - you will die! Metal also needs gathering and this you get from pale stones that have cracks in them. Chip away at the outer layer to reveal metallic nuggets, you may also see elongated things with glow bits. These are sky core shards - press E to pick them up. Now you have materials to build your first boat and hopefully enough acquired knowledge to unlock ship building. You do this in your inventory screen (Tab) under the knowledge tab. Once done you can build a shipyard and a crafting station, but before you do this explore the island because other players sometimes leave their old stations behind and these keep the last thing someone made on record, so by looking around you may find technology you don't know how to build yet and setting up a shipyard next to these will help you get ahead of the curve. Shipbuilding becomes extremely involved very quickly, but at the barest minimum you need a shell which you design in the shipyard menu. Clicking on 'edit frame' lets you change the basic shapes, you then drag materials on to the right slots and build. To turn this into an actual vessel you need a helm, a sail and an Atlas Sky Core. I would also put a personal revival station onboard - this means that any inadvertent deaths will result in you spawning at your ship. Congratulations you have a barebones airboat capable of taking you places. I realise that I make this sound like a frantic rush, but it isn't. As I said at the beginning the music set the tone for me and I learned all the above things while quietly exploring and taking in the stark splendour. 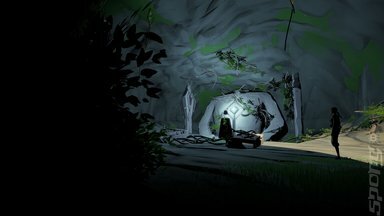 It was meditative and outside of the random and hilarious deaths there is a feeling of serenity to the starting islands. I also mentioned trees being potential sources of death. If you fail to notice which way they are falling you will get brained by them. You may also discover death waiting for you as you swing along on your own rope. Momentum can kill you here. Now on to my favourite accidental death machine - the crafting station. If you stand too close while building something there is a very good chance the item you are making will fall on your head and kill you. Sometimes when you take these crafted objects off of the table they will sink into the ground. Do not try to rescue them because can and will reappear and kill you. When you put your mast down be sure that it isn't falling over towards you, because it will kill you! 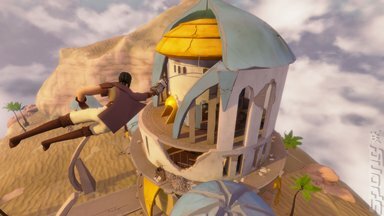 Bossa has a very thorough road map set out for the game which is encouraging and fuels my excitement for Worlds Adrift's future. There is a lot to discover here and I am far from seeing everything to offer. This includes fully exploring the in-depth Island Creator toolset which allows players to craft their own islands that may be included in the live game. 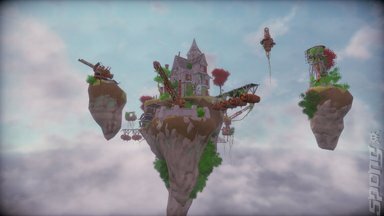 passing interest in being a sky pirate or just want a world where you can explore and relax you might want to jump onboard for the launch of Early Access on the 17th of May and help shape this game that has so much potential. 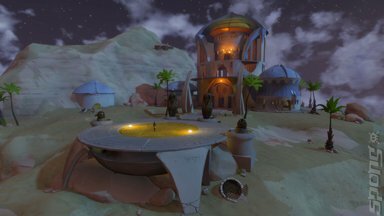 I know I'll be returning to Worlds Adrift many times over the coming months.